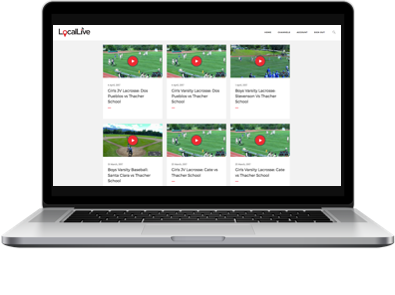 LocalLive is the world's first live production service powered by the gaming community. We produce thousands of events using our remote controlled cameras. Unlimited Events, Live Customer Support, and Amazing Quality while providing after school jobs to passionate high school and college students. Our state of the art HD cameras are installed in any type of venue. 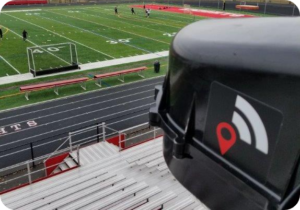 Once in place, they produce unlimited events from assemblies to football to ultimate frisbee. All events, all levels, produced live and on demand. 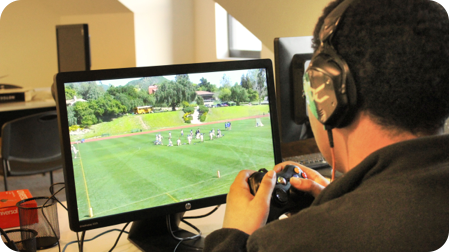 Gamers use our special crowd-sourcing software to control the cameras and produce events from anywhere using their own equipment. All events are monitored and supervised for quality. Gamers earn points that lead to higher pay and more games. Your Colors, Your Logo, Your brand. All your events in one place. Live and On-Demand, home and away, all types of events. Password protection, free registration and subscription options available.